Outland as a single zone instead of an expansion, Undercity without the undead, main characters without textures... Blizzard’s Dave Wilson shared some screenshots on Twitter from the early development years of World of Warcraf. They show a completely different game. 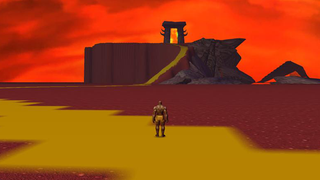 World of Warcraft is more than 10 years old, but some of these screenshots goes back to 1999 so the game rather looks like WarCraft III or something on the PS1 than an actual MMO. If you were paying attention during last year’s BlizzCon, some of these shots will be familiar (also, they are currently displayed in the Blizzard campus museum in Irvine) but this time you can see all the small details and the text in them.